Lawrence Dutton, violist of the nine-time Grammy winning Emerson String Quartet, has collaborated with many of the world’s great performing artists, including Isaac Stern, Mstislav Rostropovich, Oscar Shumsky, Leon Fleisher, Sir Paul McCartney, Renée Fleming, Sir James Galway, Andre Previn, Menahem Pressler, Walter Trampler, Rudolf Firkusny, Emanuel Ax, Yefim Bronfman, Lynn Harrell, Joseph Kalichstein, Misha Dichter, Jan DeGaetani, Edgar Meyer, Joshua Bell and Elmar Oliveira, among others. 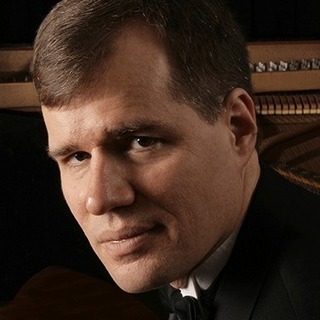 He has also performed as guest artist with numerous chamber music ensembles such as the Juilliard and Guarneri Quartets, the Beaux Arts Trio and the Kalichstein-Laredo-Robinson Trio. 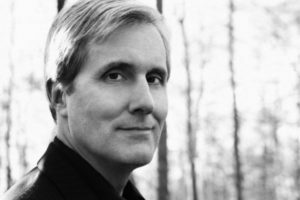 Since 2001, Dutton has been the Artistic Advisor of the Hoch Chamber Music Series, presenting three concerts at Concordia College in Bronxville, NY. He has been featured on three albums with the Grammy Award-winning jazz bassist John Patitucci on the Concord Jazz label and with the Beaux Arts Trio recorded the Shostakovich Piano Quintet, Op. 57, and the Fauré G minor Piano Quartet, Op. 45, on the Philips label. His Aspen Music Festival recording with Jan DeGaetani for Bridge records was nominated for a Grammy award. Dutton has appeared as soloist with many American and European orchestras including those of Germany, Belgium, New York, New Jersey, Connecticut, Colorado and Virginia, among others. He has also appeared as guest artist at the music festivals of Aspen, Santa Fe, Ravinia, La Jolla, the Heifetz Institute, the Great Mountains Festival in Korea, Chamber Music Northwest, the Rome Chamber Music Festival and the Great Lakes Festival. With the late Isaac Stern, he had collaborated in the International Chamber Music Encounters both at Carnegie Hall and in Jerusalem. 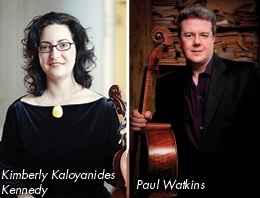 Currently Professor of Viola and Chamber Music at Stony Brook University and at the Robert McDuffie School for Strings at Mercer University in Georgia, Dutton began violin studies with Margaret Pardee and on viola with Francis Tursi at the Eastman School. He earned his Bachelors and Masters degrees at the Juilliard School, where he studied with Lillian Fuchs and has received Honorary Doctorates from Middlebury College in Vermont, The College of Wooster in Ohio, Bard College in New York and The Hartt School of Music in Connecticut. Most recently, Dutton and the other members of the Emerson Quartet were presented the 2015 Richard J. Bogomolny National Service Award from Chamber Music America and were recipients of the Avery Fisher Award in 2004. They were also inducted into the American Classical Music Hall of Fame in 2010 and were Musical America’s Ensemble of the year in 2000. Dutton resides in Bronxville, NY with his wife violinist Elizabeth Lim-Dutton and their three sons Luke, Jesse and Samuel. He exclusively uses Thomastik Spirocore strings.